We all like to think of ourselves as cool and open-minded people. After all, we're anime fans and enjoy some of the most cutting-edge shows on the planet. 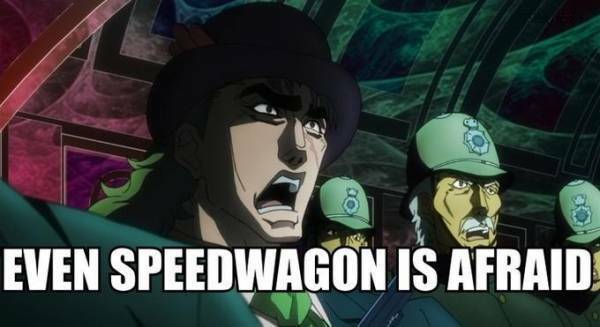 JoJo's Bizarre Adventure is a wild ride, and here are 22 Jojo memes that are bound to blow your mind! 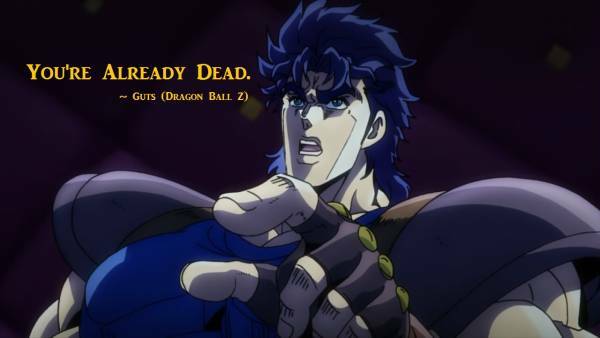 One of the manliest statements to ever grace the anime world is "You're already dead!" However, it's Kenshirou from Fist of the North Star that first proclaimed these powerful words. 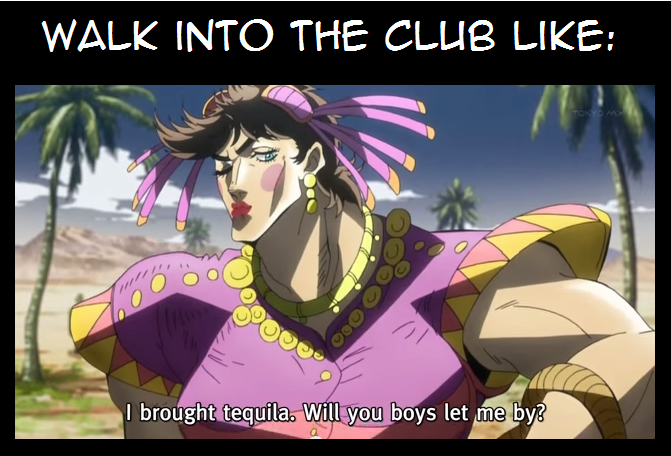 But regardless of this small detail, it still is a great addition to the growing number of Jojo memes. 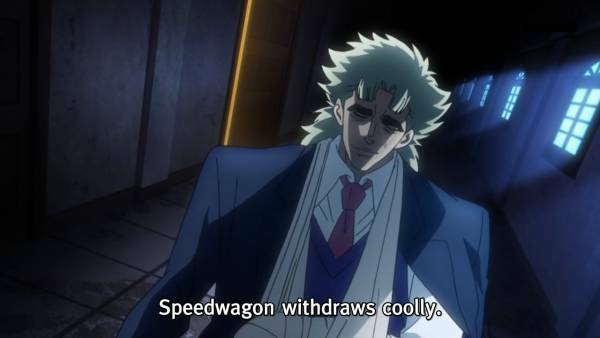 It must be an unwritten rule that Dio Brando must appear within a certain number of Jojo memes. With his self-assured and snarky attitude, Dio lets us know that we can't get away from his machinations. Even in the most questionable places on the internet. 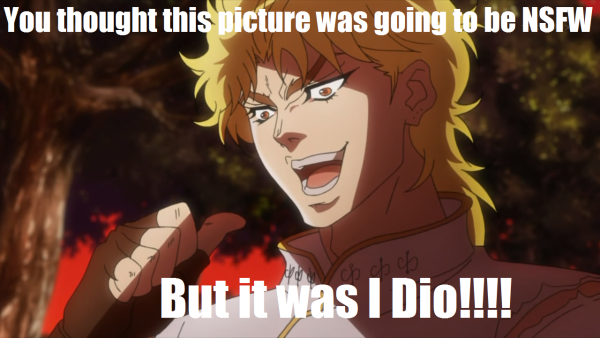 Just as one would expect, Dio is everywhere. 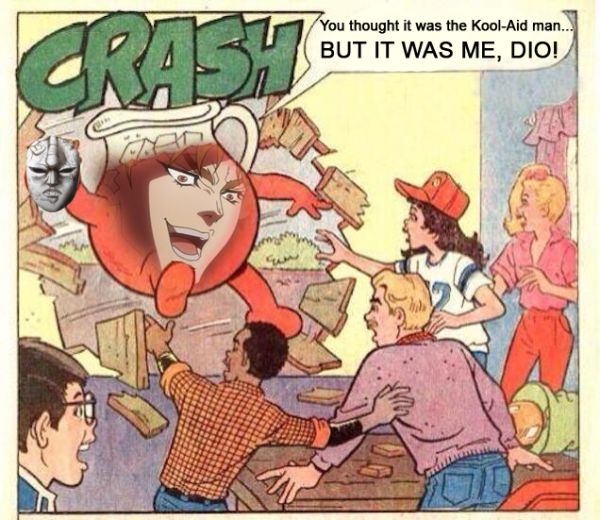 To think that he could even destroy our childhood memories of the Kool-Aid Man is a sobering prospect. 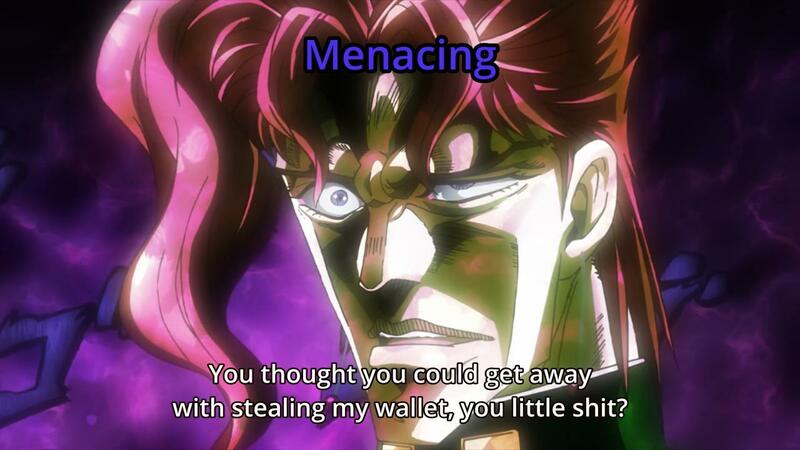 Nevertheless, this is one of those Jojo memes that is both funny and nostalgic. A cool thing about the JoJo's Bizarre Adventure universe is the references to music artists. This is quite common with the 'Stands' which are often named after various rock groups. Vanilla Ice is named after the popular rapper that appeared in the early 90's. His hit song was 'Ice Ice Baby'. A young Joseph Joestar peers through the keyhole, in order to get a peek of his mentor as she is bathing. 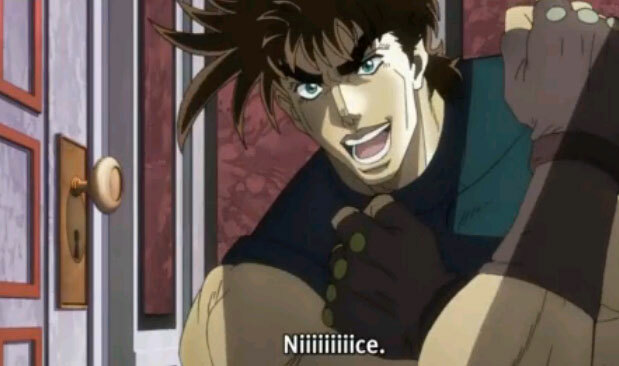 He is elated by this pervasive act and enthusiastically utters the word 'Niiiice!' This would later spawn a wave of Jojo memes to spread across the internet. Now for the bad news: the lady that was bathing turns out to be his mother. It's not a good idea to be influenced by Joseph's keyhole peering shenanigans. But we could learn a lot from his sneaking tactics. He disguises himself as a woman and infiltrates a Nazi base in Mexico in order to save a friend. To top it all, he offers the guards tequila like a boss! 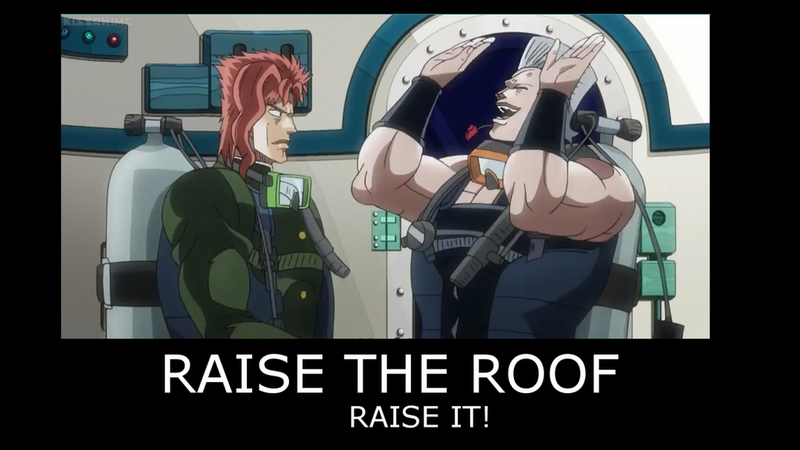 Noriaki Kakyouin and Jean-Pierre Polnareff are dudesbros through and through. The bromance is strong between these two, and it couldn't be better presented than in one of the most uplifting Jojo memes to invade the net. Let's face it, some folks are literally preparing for an impending zombie apocalypse. The rest of us just want to enjoy a zombie themed horror film or video game. 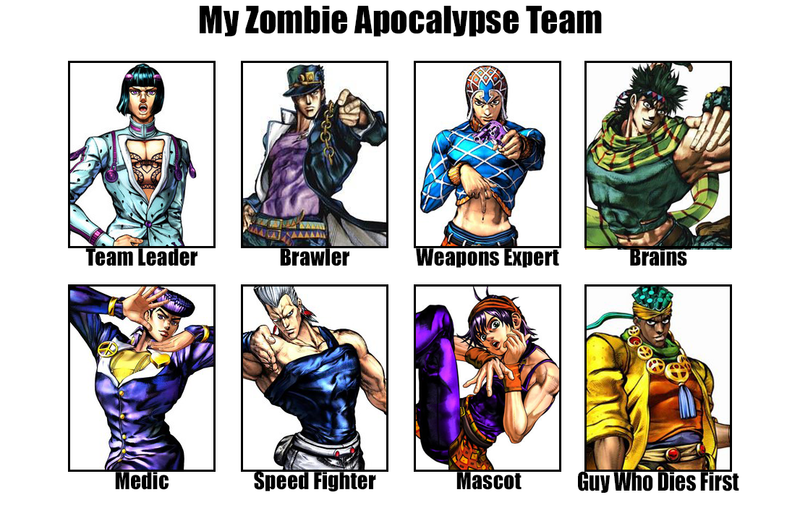 The above meme gives us the ideal roster of JoJo's Bizarre Adventure characters that we would all love to have on our team in order to survive. When things get tough, the tough get going. After all, Speedwagon is the head of a successful oil company. 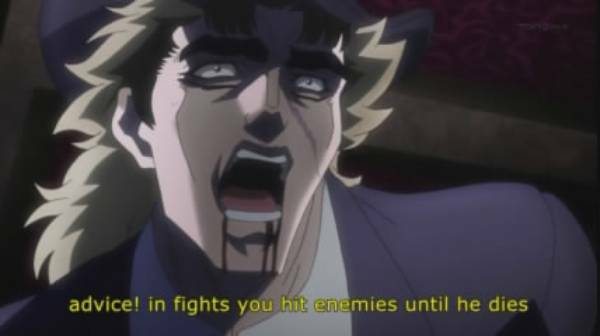 It doesn't make sense to be dealing with crazy types such as Dio, which would test anyone's sanity. Once again, Dio just won't let up and it does seem that he is impersonating one of Goku's attacks. 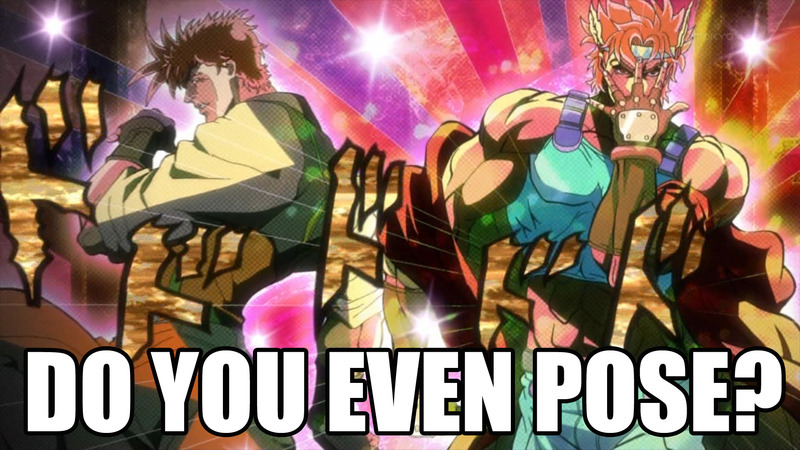 Joseph Joestar must have thought that he was starring in the wrong anime, for a brief moment there. 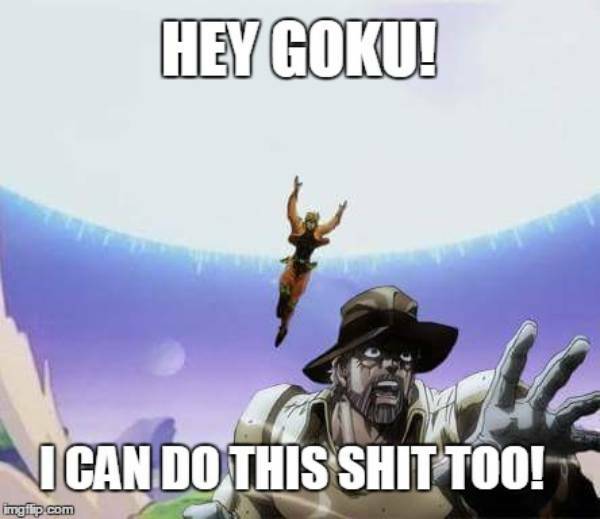 It's certainly not uncommon to have a bit of Dragon Ball Z in our Jojo memes. 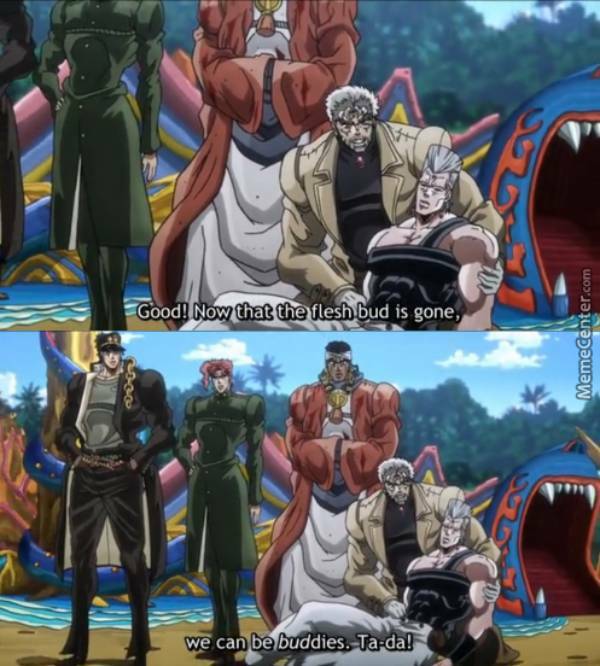 Some JoJo memes are funny and others can only conjure up some facepalming. This one skirts the fine line between the two. One thing is certain; these dudes will be buddies forever. 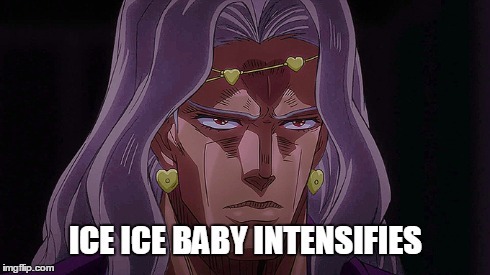 Certain Jojo memes are great at forewarning the public against impending danger. Kakyouin is usually cool, calm and collected, but he can become overly menacing at times. Make sure to steer clear from him on one of his bad hair days...and never steal his wallet. The characters of JoJo's Bizarre Aventure are a flamboyant lot. This is reflected in their crazy hairstyles, dress code and odd poses. In fact, they look like they stepped out of a fashion catwalk from the 90's. However, they're always posing in a manner that strikes me as campier than what; a fashionista would have in mind. 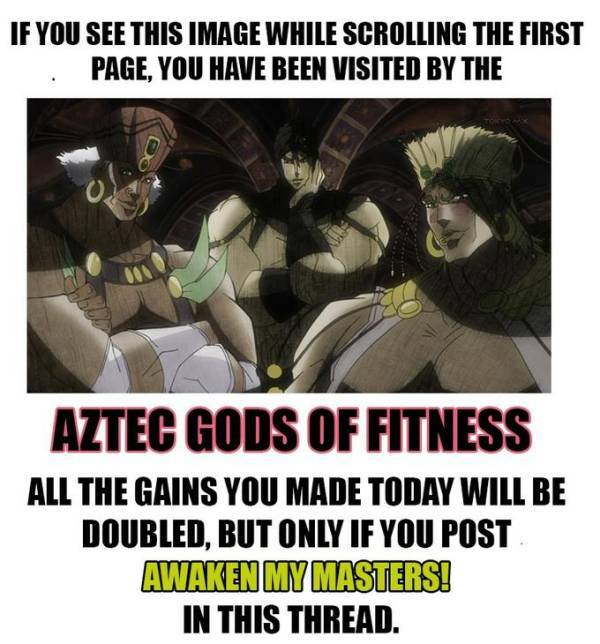 Take a gander at these posers in one of the trippiest-looking JoJo memes out there. Hair Metal Or Punk Rock? As noted earlier, this is a crowd with their own individual style. 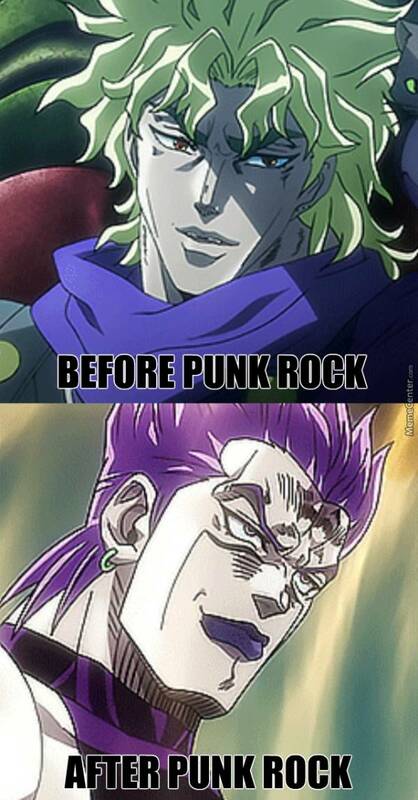 Therefore, it's not surprising that there are Jojo memes, which eloquently point out those distinctive hair styles. Some characters look like they are members of a hair metal or glam rock band, while others resemble the remnants of a punk group. 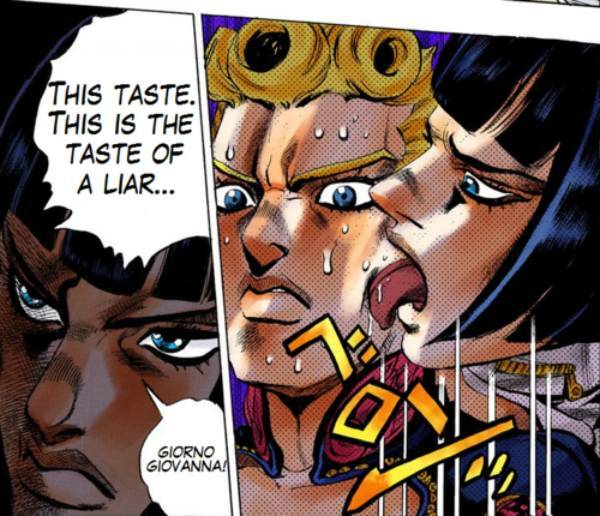 Bruno Buccellati doesn't tolerate liars, and he has the most peculiar method of expressing this. In this disconcerting scene from the manga, he licks the sweat from Giorno Giovanna's face. 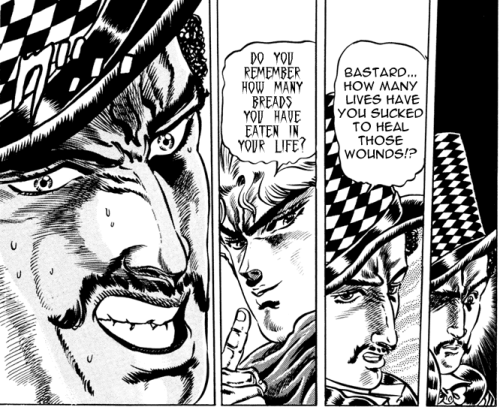 JoJo's Bizarre Adventure has always had a bit of a rocky history as far as English translations are concerned, and that's putting it mildly. The fan translation of the 4th arc of the manga was a complete train wreck. Fans referred to this as Duwang, as that's the Chinese translation of the city that the story takes place in. Later on, a Dawung fansub was done for the 2012 anime. 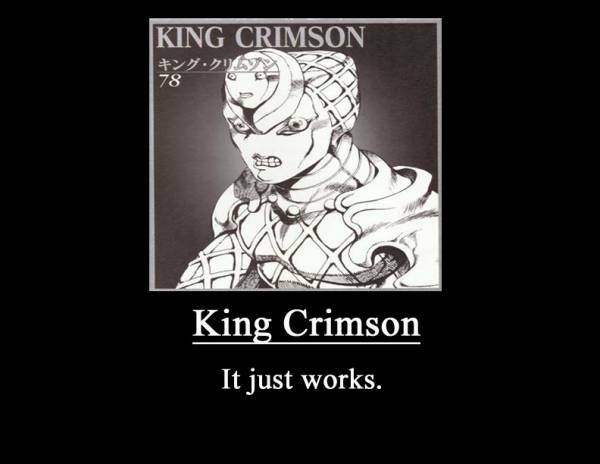 King Crimson is a 'Stand' with some otherworldly abilities, including time-skipping. However, the manga has some complex page layouts and early fan translations were poor. This resulted in battles depictions with King Crimson that were difficult to follow. Fans had a hard time figuring out how this 'Stand' functions, and they just explained it away as 'It Just Works'. Wamuu is one of the four powerful Pillar Men. As he and his masters' awake, they strike one of the silliest poses in a series that is jam-packed with kookiness. Henceforth, this quote spread like wildfire across forums and fansites. How Many Breads Have You Eaten in Your Life? This is easily one of the more memorable Jojo memes in internet land. Fans absolutely love it as it's based on the timeless, but ridiculous exchange between Will A. Zeppeli and Dio Brando. It's always great to discover memes which poke a bit of fun at the creator of a given series. Hirohiko Araki, the manga artist of JoJo's Bizarre Adventure is portrayed here. The meme highlights the author's youthful looks, even though he is no spring chicken. It's as if the man never ages, probably the result of creating such a fun and bizarre series.